Imagine a curvy design made entirely from fabric squares and rectangles! Some say it’s like Cathedral Windows by machine … and while the motif is similar, the process is completely different and new. Advanced beginners and more experienced quiltmakers alike will delight in how easily these curves appear – a result of strategic fabric manipulation, of course. The magic is in the blocks running right down the middle, set off with a double border in this 42” x 14” piece. 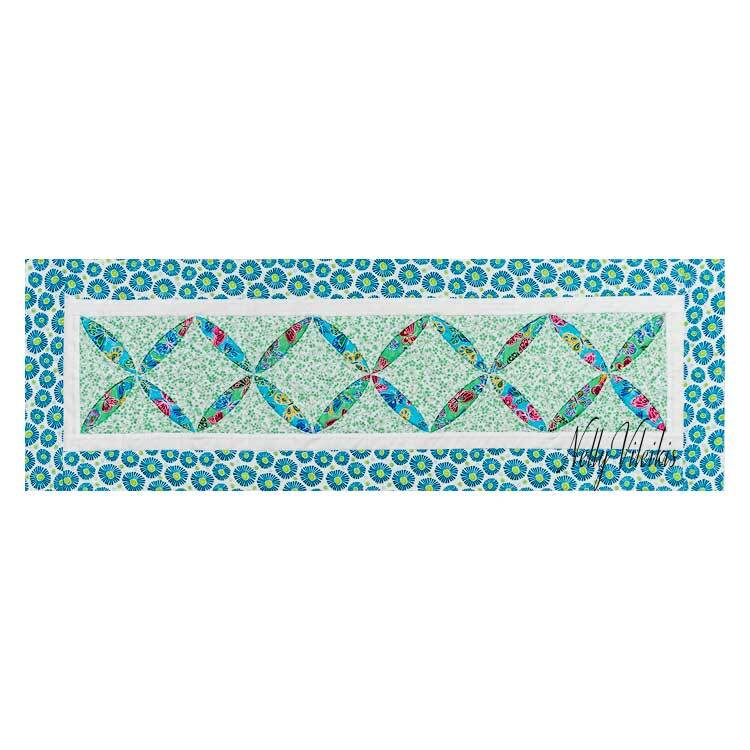 Finish as table runner or wallhanging perfect for spots the typical square just won’t work.